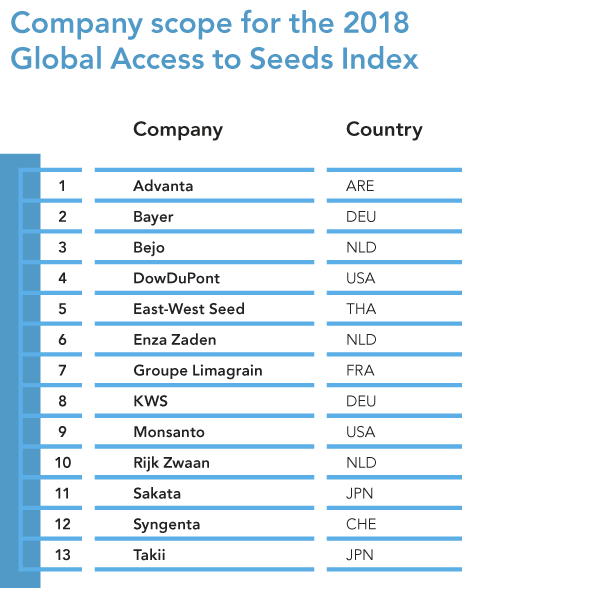 The most substantial change to the 2018 Index will be the extended coverage of regional seed companies. 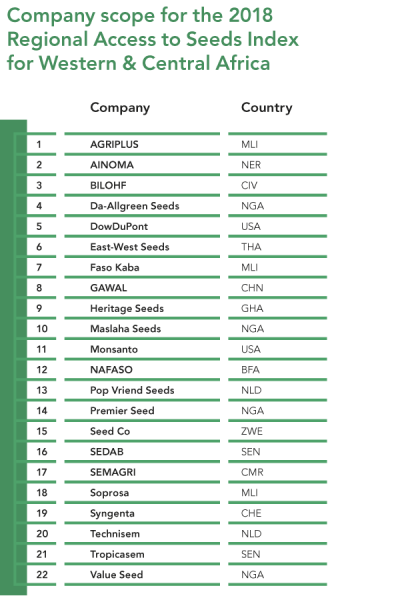 The 2016 Access to Seeds Index assessed the leading global field crop and vegetable seed companies, which are generally at the forefront of research and development. But it also examined the regional industry in Eastern Africa, by means of a regional index. The 2016 Regional Index for Eastern Africa demonstrated the key role regional companies play in reaching smallholder farmers by delivering the industry’s products to the farm gate. The 2018 Index will therefore be expanded to include two additional regions. Landscaping studies, carried out by regional consultants in 53 countries throughout Western and Central Africa and South and Southeast Asia, identified leading regional players that are providing access to seeds for smallholder farmers. 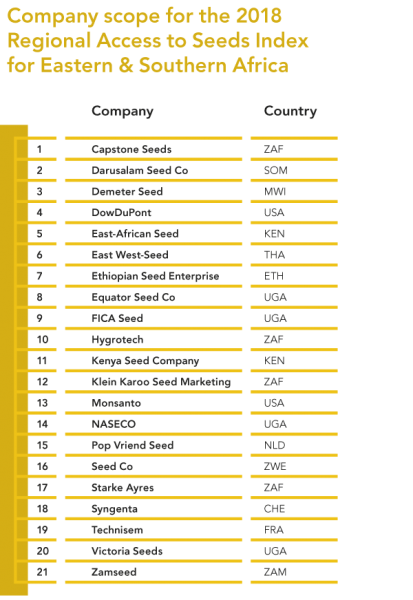 This resulted in a list of approximately 20 companies for each region on which the Index currently focuses: Western and Central Africa, Eastern and Southern Africa,* and South and Southeast Asia. Although these regions differ considerably, they share three characteristics: significant agricultural potential, food security challenges and a substantial smallholder farmer presence. 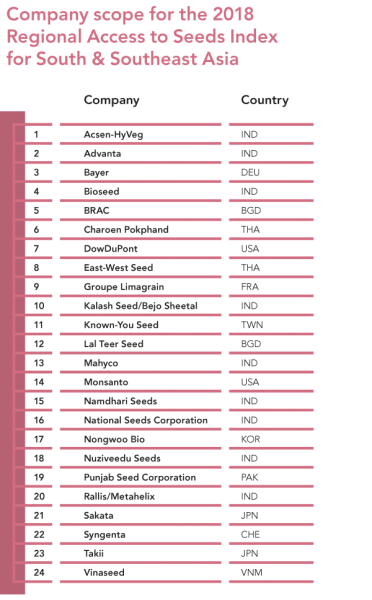 In addition to identifying the leading companies globally, the 2018 Index will also identify the leading companies in Africa and Asia. Publication is scheduled for sometime between November 2018 and February 2019, with the Regional Indexes and Global Index being released at separate moments during this period. *In 2018, the geographic scope of the Regional Index for Eastern Africa will be extended to include Southern Africa.